I was born and brought up in Karachi, and later settled in Lahore. Did your education play a part in developing this platform? In more ways than one. On a broader level, my foreign education taught me the importance of leadership, particularly, leading by example. I built BeautyHooked because I wanted to empower women, and BeautyHooked is a product that empowers women. The beauty industry is a industry lead by women, from salon owners, to the staff that works for them, to the women who use their services. 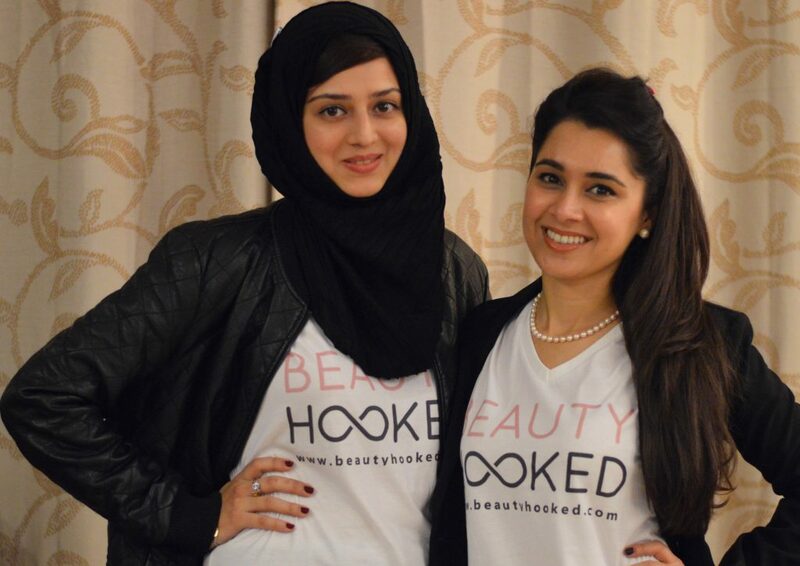 BeautyHooked promotes beauty entrepreneurs and empowers them to grow their businesses. On the other hand, our users are busy women achievers (most of them being working women or students), and having such a platform saves them time. 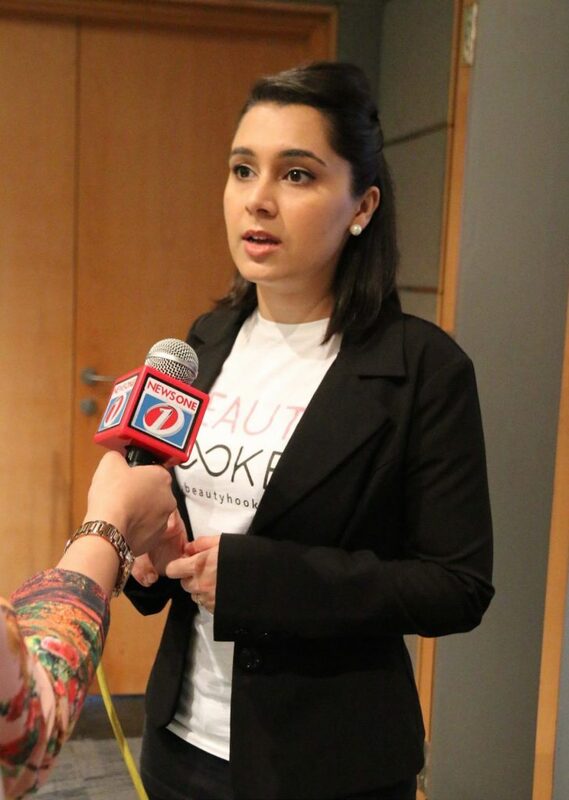 My education enabled me to look at the bigger picture, and really build a value driven business, making the main goal for BeautyHooked to empower beauty entrepreneurs to grow their business, and consumers to look & feel great. That said, I always knew I wanted to be an entrepreneur, but I never wanted to be an average one. I understood that I needed thorough academic knowledge of all aspects of business before I could really differentiate myself and make a dent in the industry I would be entering. Which is why I decided to do my MBA from one of the most competitive programs in the world before embarking on my journey. 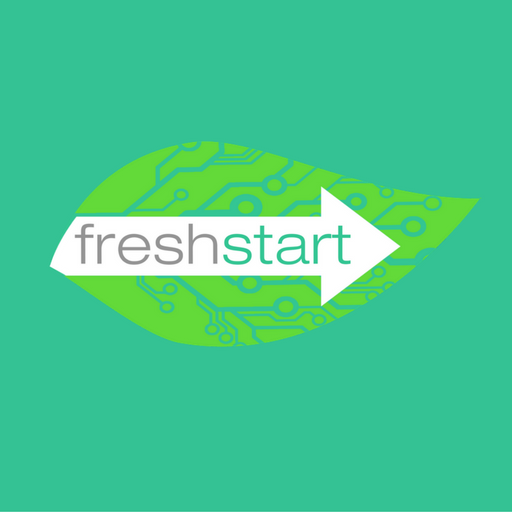 Building a tech company is more than just knowing tech. There is a lot more that goes into building and leading a successful business be it Finance, operations, Human Resource Management, strategy, marketing, corporate governance etc. One has to have keen insights and thorough knowledge of all business aspects and business strategy, only then can a company be formed. My education played a large part in how far I have come at such an accelerated pace, and by education I don’t mean just my MBA degree from Cornell University, but also the education and hands on experience I gained from my prior intensive corporate work experience in Finance & Business structuring from Citibank and Marketing & Business Development at USAID. 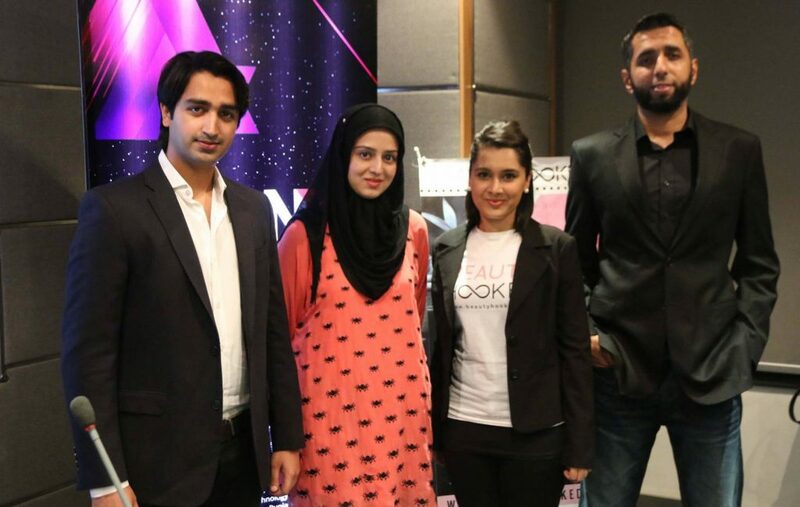 BeautyHooked presents a very novel concept in Pakistan. What inspired you to create this platform? While I was in the US, I was exposed to a lot of beauty apps that my friends and myself were using. I was amazed at the addictive nature of these apps and the creative ways in which they created avenues for beauty businesses to promote themselves, and women to look and feel great. They had immeasurable value and immeasurable potential. While I would be using them, I would always question why such services were not available in Pakistan and it would be absolutely fantastic if they were. So I decided to change that, and returned to Pakistan with a plan to build an innovative Beauty-Tech product. What I did then was choose the best aspects for all the beauty apps I had used, tweeked them in ways that I thought they would make them much more effective and built a high bred service through BeautyHooked. How important has Plan 9 and Plan X been in developing this product? I was incubated at the LUMS Center of Entrepreneurship and accelerated at Plan X. Both have been instrumental in the support they have provided, but the most valuable aspect of being a part of an incubation or acceleration program is the access to the entrepreneurial ecosystem that they provide. As a startup running in this country you need to be plugged in instead of working in a silo. It shows you what other companies are doing to get themselves off the ground, the successes they have had and why, and the mistakes they are making so you don’t repeat them. What feedback have you gotten from different salons on board? It varies. The main USP of BeautyHooked for salons is two pronged 1) Online presence and appointment bookings 24/7 so that they don’t miss out on traffic and it also replaces their receptionist, and 2) An Innovative marketing channel to promote their salon and service to a beauty conscious audience. With regards to online appointment bookings, for large salons that already have an online appointment booking system in place, this service is not suited for them, however for salons without any online presence (which is the majority) this is the perfect platform for them. With regards to innovative marketing, BeautyHooked, envisions, organizes and executes creative marketing campaigns and strategies for salons to engage with their audience. For the salons that we have worked with in the past for content marketing in particular, this has been extremely successful and these salons have given us permanent and continued contracts to market them creatively and differently. They love the product and the service. Kirin Chaudhari of NewLook says that you’ve done wonders in bringing her a new form of clientele. What do you have to say about this? Because at BeautyHooked we empower beauty entrepreneurs to grow their business, and consumers to look & feel great, its wonderful to see the appreciation from a client and a successful, powerful, beauty entrepreneur, like Kiran Chaudhari. However, this is just the start, and post funding we expect to empower more beauty entrepreneurs to connect with a broader and more diversified clientele and grow their businesses. There are many beauty products out there that only salons (not retailers, per se) are legally allowed to sell. Is there any particular reason for this? These products fall in the category of “professional products.” The reason they are only sold in salons is that there are very specific application techniques for salon professional products that salons & their staff have spent considerable time learning and being trained on. Product companies that create these products, spend a lot of time and resources giving hands on intensive training to beauticians that will be handling their professional products & recommending them to clients. The beautician is trained on who, what, where, how the particular product should be used, and so are able to guide the client adequately before purchase. It is not safe for clients to handle such products directly as they do not fully understand the application techniques. We receive various queries on a daily basis from users who have had major disasters with their hair and skin after using such products at home (without consulting an expert first) and give us frantic calls to figure out rectification measures or for a recommendation for a salon that can fix the issue. What problems do/did your target demographic have in booking an appointment through a salon, through the conventional channels that exist besides BeautyHooked? What BeautyHooked does is it saves users time by helping them make more informed decisions about their beauty needs and choices. That said, the main issue is that the beauty industry has minimal online presence and lack of transparency. While thousands of salons exist, users do not find out about them or their services unless its through word of mouth, and even if they do, they have no ides what the salon has to offer or what the prices are like. For a lot of larger salon brands potential clients (especially students) just assume that they would be very highly priced and don’t even consider them. Also, during a special occasion such as a wedding, women spend hours calling friends to get reviews, and looking on various social media pages to find the right services and the right prices to fit their needs. Lastly, talking details with a salon receptionist over the phone to find out more about the services on offer is a painful process, the receptionist who is generally busy attending to walk ins along with the phone calls she is receiving, doesn’t have the time or patience to adequately service the client and patiently answer any and every question that they may have. Hence, BeautyHooked creates, and provides an avenue not only for salons to be found online, but for clients to conveniently view their entire menus, price lists & reviews ( at their own time and only only during salon open hours) to see what the salons are offering and then book online anytime (even when the salon is closed). Before booking, clients can even call us and talk in detail on the kinds of services they are looking for and recommendations on the salons that are best for that particular service, the platform helps them to compare and make the right decision very easily. It’s a very personalised approach to servicing client needs. What do you feel about the digital sociability of “beauty” as a whole in Pakistan? Fashion magazines all over the country are heavily correlated with promoting the beauty industry. (Do you feel there is an adequate forum on social media to discuss beauty products/salons/aesthetics?). Although there are various excellent forums that discuss beauty online, there is a major focus on makeup products and brands, and not on the salon industry. I feel there needs to be a more comprehensive, professional, channel that is an aggregator of it all and brings it all together: salons, beauty service providers, beauty products, beauty bloggers etc. which is what BeautyHooked is trying to build. How does BeautyHooked verify the authenticity of its salons? We personally try and test every single salon that we place on our platform. It is important for us to present only the best in beauty to our viewers. The way we maintain authenticity, without the salon putting their best foot forward for good reviews, is that we send “mystery shoppers” to salons to try the services and then come back to us and report their completely unbiased opinions. Congratulations on recently securing a $280,000 investment from Fatima. What lured them in to considering you as a potential project for expansion? Securing investment was a very intensive process. For us it took months to first find, and then get the right investor to the point where he was ready to invest. The investor identified us as a potential investment when we were just in idea phase, then spent months intensively studying us, our business, our team, progress and numbers. It took a lot of pitching, financial modeling, grit, traction, and absolute commitment to the investor and ourselves to finally get to the point where we proved ourselves and he was ready to invest. Do you have any plans for creating a mobile application? We are currently in the process of mobile app development and should be launching one soon. What does the future hold for BeautyHooked? Our seed round of funding from Fatima Ventures brings with it endless opportunities to scale the company fast and disrupt the beauty industry. We plan on rolling out nationally and are in late stage talks with international players to franchise our technology and brand to other countries. The seed round will give us the runway we need to make our dream a reality of building a truly global Pakistan based beauty-tech company, and putting Pakistani startups, women, and technology on the internet map.